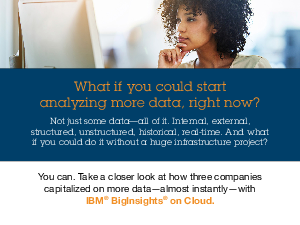 > IBM > What If You Could Start Analyzing More Data, Right Now? What If You Could Start Analyzing More Data, Right Now? if you could do it without a huge infrastructure project?